Originally produced in Cuba and now distributed in the U.S., each of these Montecristo hand-rolled premium cigars are made in the finest of Cuban styles, carefully handcrafted in the Dominican Republic. Each Montecristo premium cigar is beautifully rolled and firmly packed, all constructed of vintage filler tobaccos and loaded with rich smooth and creamy flavors giving a delightfully sweet aroma with every smoke. 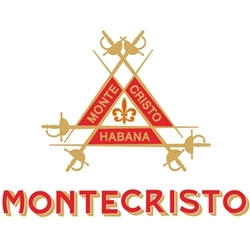 Smokers Discounts offers Montecristo premium cigars in numerous varieties of sizes and flavors. Each of these styles are available here for a discount price! Call us for more details!